Clinical trials for drug therapies carry, by their nature, a certain amount of risk. As a subject in a number of clinical trials and research studies (not all of which were drug trials), and as a current patient advocate on a large National Institutes of Health (NIH)-funded study, I understand this and have grown to accept a level of risk. Anyone who takes part in a clinical trial — whether for reasons of hope, desperation, or the advancement of science — should similarly understand the risks involved. Drug trials in humans are conducted in four phases. As a potential treatment makes its way through these phases, many risk factors are assessed and eliminated, but some still exist. Phase 1 human trials assess the safety, dose, and side effects of a drug on a very small number of people — usually 10 to 30. In phase 2 trials, the potential treatment is given to a larger number of people — up to several hundred — to assess its effectiveness while confirming its safety. Phase 3 trials compare the effectiveness of new drugs to that of older, approved therapies. They also confirm the safety and effectiveness information gathered in the previous phases. The data collected in phase 3 trials is used by regulators to determine whether to approve the drug for marketing. Phase 4 trials continue after a drug is approved and released to market to gauge its effect in various populations, track side effects, and note any other developments associated with long-term use of the drug. Along with the risk of experiencing mild drug side effects, there are other risks a study subject should consider. One risk that many do not think about is the fact that a percentage of people in advanced trials will not be receiving the new therapy. These people may be allowed to continue any treatments they are already taking during the trial, but not always: In some trials, subjects are required to go off current treatments or forego approved drugs for the duration of the trial. Then there are the major “adverse events,” and even death. While quite rare (and even rarer as trials advance from one phase to the next), there is a slight risk of having a significant, bad reaction while participating in a drug trial. 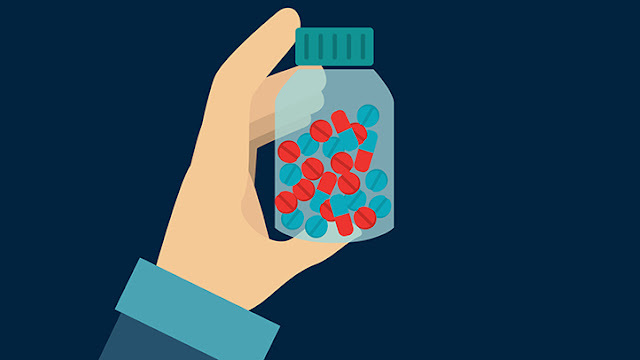 A recent phase 1 trial of a pain medication in France garnered headlines and brought attention to the risks I have outlined. It’s also the reason I’m writing this blog: I want to acknowledge all those who take these risks. People who enter clinical trials are — by law — informed of the possible risks they face. Every prescription drug we take has been made available to us because a group of individuals, for various reasons, raised their hands and rolled up their sleeves for our collective benefit. During these trials, the outcomes must be constantly monitored and measured. Some participants will quite literally roll up their sleeves or shed their clothes as they undergo blood draws, MRIs, spinal taps, clinical exams, and other tests used to quantify and qualify the effects of the experimental treatment. Often, these monitoring tests entail making several visits to clinics over the trial period, with only a small monetary stipend to cover expenses. There are many who read this blog (and others that I write) who, by choice, do not take disease-modifying MS drugs or any other medications. All of us, however, must realize and respect that the choice to take a med or not is only ours because of the people who subjected themselves to this process. It is because of the actions of a few that we have the choice to take one of the approved medications for our disease or to not take them. Next month I will have the great privilege of addressing the people who are currently part of an important trial for a potential progressive MS treatment. As the patient advocate on this trial, I have followed the progress from pre-enrollment, and the first members of the trial will soon finish the 36-month active period. I will thank them not only on behalf of the research team, but also for those in the MS community who will benefit from their participation.